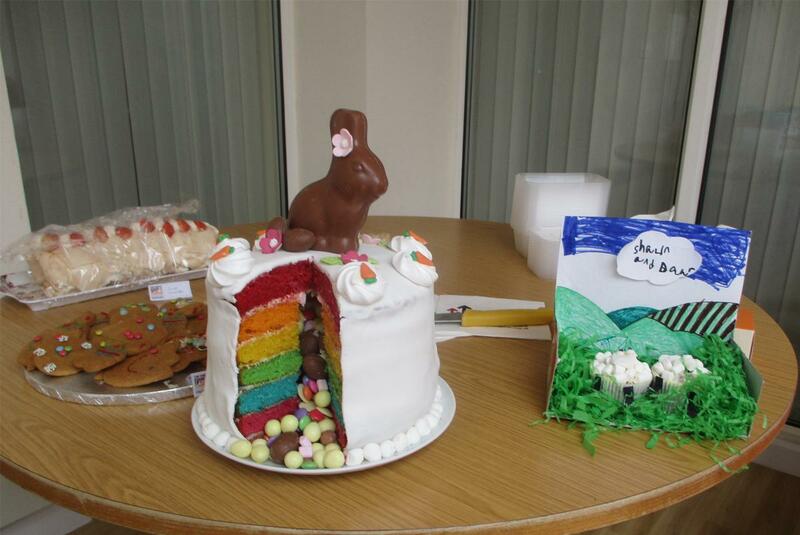 Staff at Helston Community Hospital have been busy with whisks, flour and eggs, and have hosted a special Stand Up To Cancer (SU2C) bake off to raise essential funds for Cancer Research UK. Organised by Staff Nurse, Samantha Grenfell, staff made 21 different cakes to be judged by Kellie of Kellie’s Kakes, Sister, Trudy Addington and District Nurse Team Manager, Paul Marsden. The winner of the Star Baker was Health Care Assistant, Tricia Barry, who won a SU2C pinny. “Here at Helston Community Hospital we all love cake and we have many keen bakers so we thought holding a bake off would be a great way to raise money for Stand Up To Cancer and also bring everyone from all departments together. It was great fun to see who would win the coveted Star Baker Pinny!” commented Samantha. Don’t spend your Easter bank holiday waiting in the emergency department to get sprains, strains and broken bones fixed - head straight for your nearest minor injury unit (MIU) or urgent treatment centre. Whether you’ve hammered your thumb doing the traditional bank holiday DIY, injured yourself with an over-enthusiastic football tackle in the park, doctors and nurses there can treat you far quicker, leaving you to enjoy the rest of the long weekend. Minor injury units and the West Cornwall Hospital Urgent Treatment Centre can treat a range of minor illnesses and injuries, which have occurred during the previous 14 days. You will be seen by an experienced nurse, without an appointment. X-ray is available at some locations. There is also a minor injury unit at Stennack Surgery in St Ives (TR26 1RU) which is open 10am to 4pm on Good Friday and Easter Monday. Call 01736 793333 for more details. If you do need to visit the emergency department, a minor injury unit or urgent treatment centre during the holiday, you can see how long you may have to wait by using the online waiting time service, which shows the longest wait, how many people are waiting to be seen and how many people are in the department. It also includes opening times and x-ray availability. NHS 111 also provides 24-hour expert non-emergency medical help when your GP surgery is closed. It’s free to call from landlines and mobile phones and is staffed by fully-trained advisors and experienced clinicians. Dr Tamsyn Anderson, Director of Primary Care at Cornwall Partnership NHS Foundation Trust said: “The bank holiday is a time to relax and have fun but if you or a family member falls ill or has an accident, please use the right health service. “Once again we’re appealing to anyone who needs help to use the right service and keep the emergency department free for urgent and life-threatening care only. The emergency department is not the right place to treat sporting sprains and strains, minor fractures, upset stomachs, insect bites and cuts. Please visit a minor injury unit or our urgent treatment centre in Penzance for treatment. “Everyone across the NHS is dedicated to ensuring when people attend our hospitals they receive the best, safest and mostly timely care. 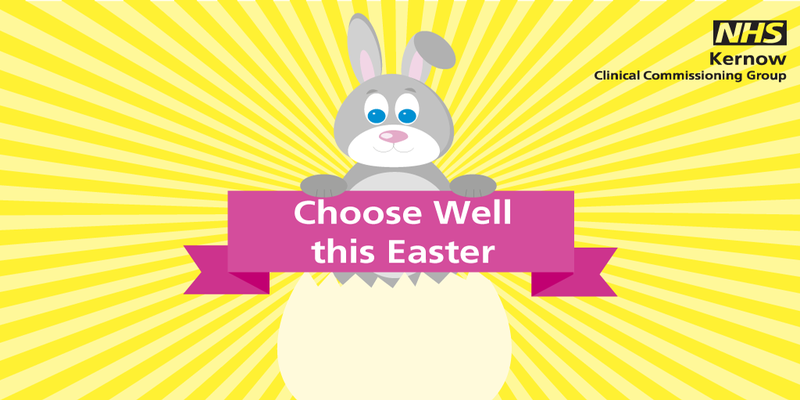 Visit our Choose Well pages for details of all services, opening and waiting times. Please only visit the emergency department for life-threatening emergencies. The Edward Hain winter pilot has been extended for a further three months. AgeUK and Cornwall Partnership NHS Foundation Trust (CFT) have been working in partnership to provide a six week programme to those who would benefit from a person centred approach to build confidence, promote independence and link in with other services in the community. The pilot was due to end in March, however due to its success partners agreed that the project would continue until 30 June 2019, with Anita Cornelius, CFT’s Interim Locality Director for West Cornwall stating that the pilot had proved to be “sustainable and compassionate”. Located at the Edward Hain Community Hospital site, the ‘winter pilot’ offers a Monday to Friday service from 9am to 5pm with optional weekend support based at Penarth Day Centre. The pilot is aimed at Penwith residents who are registered with a Penwith GP, or adults who are discharged from hospital or who are already in their own home who would benefit from the programme. Additionally, those who are able to self-administer medication, who can independently transfer with the assistance of one person or adults who may benefit from social interaction and group activity may benefit from the pilot. Those who feel that they may benefit from the pilot are advised to seek referral from their GP, healthcare professional or community maker. In February, our Falmouth Community Hospital staff presented the local Cornwall Blood Bikes with a cheque for £400, raised through Christmas hamper raffles. Cornwall Blood Bikes are a group of self-funded volunteers who provide an “out of hours” free courier service to NHS partners across Cornwall. Operating 5pm to 7am Monday to Friday, and 24 hours weekends and bank holidays, the Cornwall Blood Bikes deliver and collect blood, pathology samples, medication, medical supplies, instruments, breast milk, medication and much more, saving the NHS in Cornwall in excess of £200,00 in taxis and couriers. 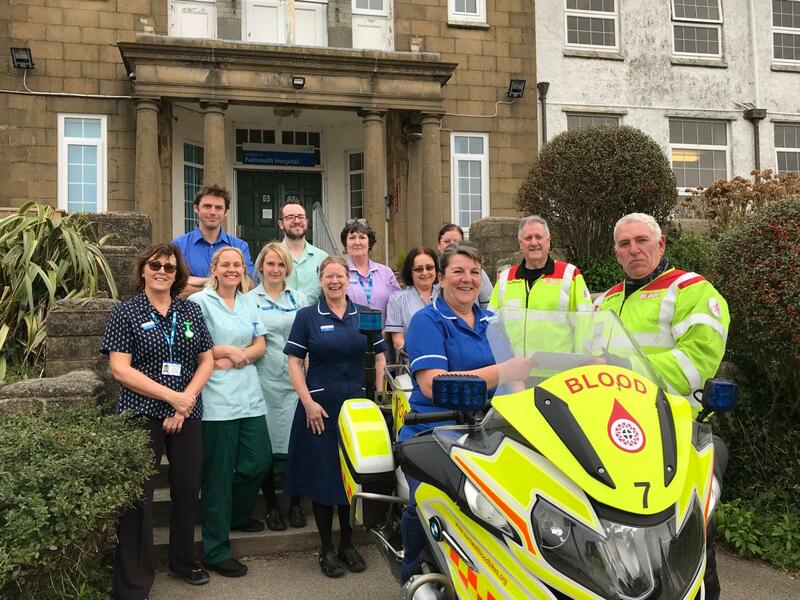 At the presentation, Brian Reynolds, John Penlerick and Jayne Penlerick from the Cornwall Blood Bikes were invited onto the hospital ward to meet with patients and to learn more about the care given by the hospital’s dedicated staff. Recently, our community hospitals have been celebrating the hard-work of our League of Friends and their 70th year. 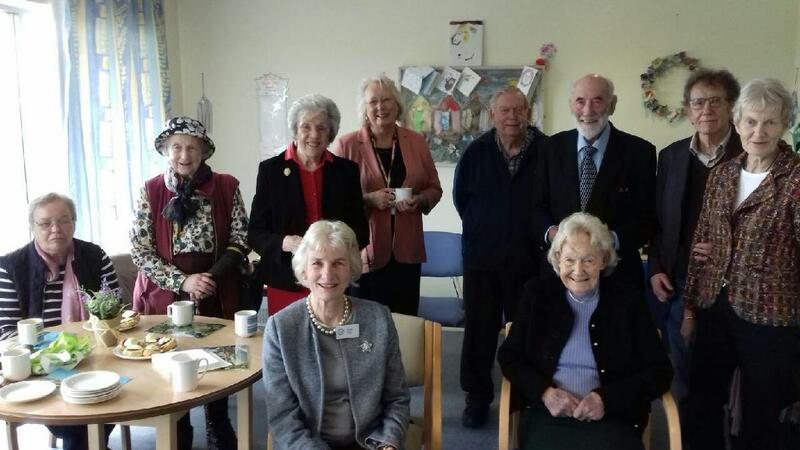 Afternoon tea parties have been held up and down the county to thank the Leagues for their essential fundraising and support. Some teams have raised funds to donate to their hospital League. When the NHS was set up in 1948, it involved the transfer of the voluntary hospital to the NHS. Volunteers still felt that they had a role to play, so the British Hospital Association recommended setting up the League of Friends. The very first League of Friends conference took place on the 24 March 1949 and was attended by 175 Leagues. Last year, 29,000 volunteers gave 4.13,000,000 hours which equates to £26,000,000 at the minimum wage and over £41,000,000 for health and social care. The tea parties were attended by ward staff, each hospital’s League, senior managers, Directors, our Chief Executive and Chair. 22 wheelchairs have been donated from the Liskeard Community Rehabilitation Team to a charity in The Gambia. Often wheelchairs are returned to the team by families or patients when no longer needed. Usually, medical equipment cannot be reused so is often sent to landfill. 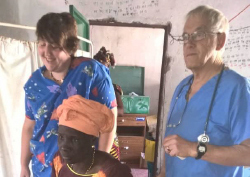 The Liskeard Community Rehabilitation Team decided to contact the Bissary Aid Project, who provides essential supplies and facilities in rural Gambia to see if they could make use of the medical equipment. “As a community rehabilitation team, we know how much a simple piece of equipment can improve a person's life. Therefore it has given us enormous pleasure to be able to donate to people that we will never meet, but who will benefit from items otherwise destined for landfill” commented Liskeard’s Community Rehabilitation Team Physiotherapy Assistant, Jane Lewis. Along with the wheelchairs, including paediatric wheelchairs, Liskeard Community Hospital’s minor injury unit also collected medical equipment to be donated. The Plymouth Bissary Aid Project was set up by David Compton, a teacher at a Plymouth school, making provision for clean water supplies and educational facilities in rural Gambia. They support the project by sending items from pots and pans to bicycles and tools for building and gardening. David organises a container once a year which is sent fully loaded to The Gambia. Nationally, in 2017, 5,102 people were diagnosed with Tuberculosis (TB) in England, the lowest number since 1990. Incidences of TB in England peaked at 8,280 in 2011; however since then the number of people notified with TB has fallen by nearly 40% to just 5,102 people. 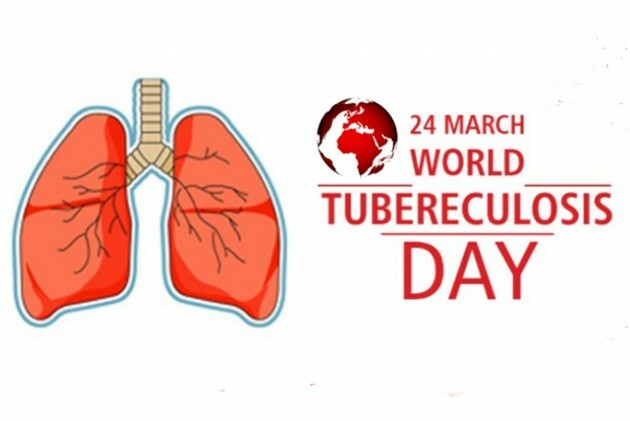 Although Cornwall and the Isles of Scilly has very low incidents of TB, Community Nurses from Cornwall Partnership NHS Foundation Trust (CFT) take the opportunity to raise awareness of on the infection each year on World TB Day, Sunday 24 March. TB is a bacterial infection spread through inhaling tiny droplets from the coughs or sneezes of an infected person. It mainly affects the lungs, but it can affect any part of the body, including the abdomen, glands, bones and nervous system. Alison continued: “As TB is an infection, anyone can catch it if they have sufficient exposure but we know some groups of people are at increased risk, such as those where their immune system isn’t working as well as normal. This may be because they have a condition like diabetes or HIV, or because they have had an organ transplant or treatment for conditions such as cancer or rheumatoid arthritis. “Generally, the risk of infection in Cornwall is very low but we are keen to ensure that those presenting with symptoms consistent with TB are investigated at the earliest opportunity”. TB is a serious condition, but it can almost always be cured if it's treated with the right antibiotics. In most healthy people, the body's natural defense against infection and illness kills the bacteria and there are no symptoms. Sometimes the immune system can't kill the bacteria, but manages to prevent it spreading in the body. You won't have any symptoms, but the bacteria will remain in your body. This is known as latent TB. People with latent TB aren't infectious to others. If the immune system fails to kill or contain the infection, it can spread within the lungs or other parts of the body and symptoms will develop within a few weeks or months. This is known as active TB. Latent TB could develop into an active TB disease at a later date, particularly if your immune system becomes weakened. Neill Wilson, our Veteran’s Link at Helston Community Hospital, has been raising money along with colleagues and friends for veteran’s mental health by working a collection at a Cornish Pirates rugby game. Combat Stress is the UK’s leading charity for veterans’ mental health. The match on Sunday 10 March between the Cornish Pirates and the Jersey Reds saw over £475 collected for the charity. The veteran’s link is a new role within the Trust and was created in light of the Armistice 100 commemorations by the Trust’s team leads. Neill’s work as a Veteran’s Link provides patients who are veterans with support aside from the usual nursing care. This can include information and signposting to forces charities or help if there is anything additional that can be provided through funding to the patient when they are discharged from hospital. We are delighted to be shortlisted for four prestigious industry awards. Corwnall Partnershp NHS Foundation Trust (CFT) the provider of Cornwall’s mental and adult community health services has been shortlisted for four Health Service Journal (HSJ) Value Awards across three categories. The HSJ Awards are the health industry’s equivalent of the Oscars. CFT has been shortlisted twice for the ‘Workforce Efficiency Award’ for the development of its psychological workforce and transformation integration sprints. The Trust has also been shortlisted for the ‘Communication Initiative Award’ for addressing mental health stigma in the community and the ‘Mental Health Services Award’ for its pioneering work with Clinical Associate Psychologists and transforming child and adolescent mental health services in Cornish secondary schools. Teams will find out if they have been successful in securing an award at glittering awards ceremony, on Thursday 23 May at Manchester Central. Two cohorts of NHS staff are to undertake mental health first aid (MHFA) training, to ensure that its employees can receive first point of contact help and support whilst in the workplace. Approximately 30 members of staff from Cornwall Partnership NHS Foundation Trust (CFT) will undertake the internationally recognised training course. Similar to traditional first aid, MHFA does not teach people how to treat or diagnose. Instead it teaches people how to offer initial support until appropriate professional help is available or until the crisis resolves. 1 in 4 people experience mental health issues each year. 1 in 6 working-age adults have symptoms associated with mental ill health. The total cost of mental ill health in England is estimated to be £105 billion per year. Those with a long-term mental health condition lose their jobs every year at around double the rate of those without a mental health condition. This equates to 300,000 people; the equivalent to the population of Newcastle or Belfast. The MHFA training teaches first aiders how to spot the critical signs and symptoms of mental ill health and to feel confident to guide someone to the appropriate support. The first aider acts as the point of contact and although they are not trained to be therapists or psychiatrists, they can offer initial support and non-judgmental guidance. MHFA training was developed and launched in 2007 by the Department of Health, as part of a national approach to improving the public’s mental health. Since 2007, 1,800 mental health instructors have delivered MHFA courses to over 345,000 people. Over 25 countries are now taking part in MHFA and over 2.6 million people worldwide have received training. Some of the aspects of MHFA training includes: how to spot the early signs and symptoms of mental ill health; how to have a supportive conversation; how to assess the risk of suicide or self-harm; how to maintain appropriate confidentiality and how to escalate to a suitable emergency service if necessary. MHFA training also aims to encourage people to talk more freely about mental health, reduce stigma and to create a more positive culture in the workplace; by boosting knowledge and promoting early intervention. Rachel Faulkner, Health and Wellbeing Lead for CFT commented: “Having completed the MHFA training, I would really encourage staff to attend the course. I am delighted that the Trust is committed to this agenda and to providing training and support to our staff. “MHFA training is designed for staff to recognise the early signs of mental ill health in colleagues or those around them, and to signpost to local or in-house services. I’ve personally seen the benefits of MHFA training in my personal life as well as my work life” added Jess Harvey, who is also a Staff Health and Wellbeing Lead for CFT.